As soon as I got engaged, one of my mom's best friends told me she had a few bridal magazines for me. And almost at the very same time, someone purchased me a gift subscription to Bridal Guide. I didn't think I needed magazines. I had the Internet, and that was good enough. So I thought. Google is a great place to start, but magazines are so amazing and worth the cost. 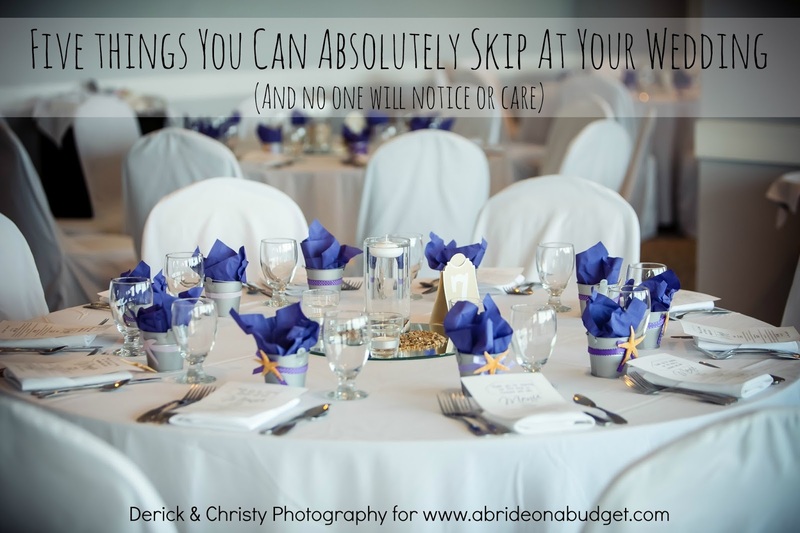 There is so much information, ideas on ways to save money, how to address invitations, check lists, and a ton of ads for wedding products. 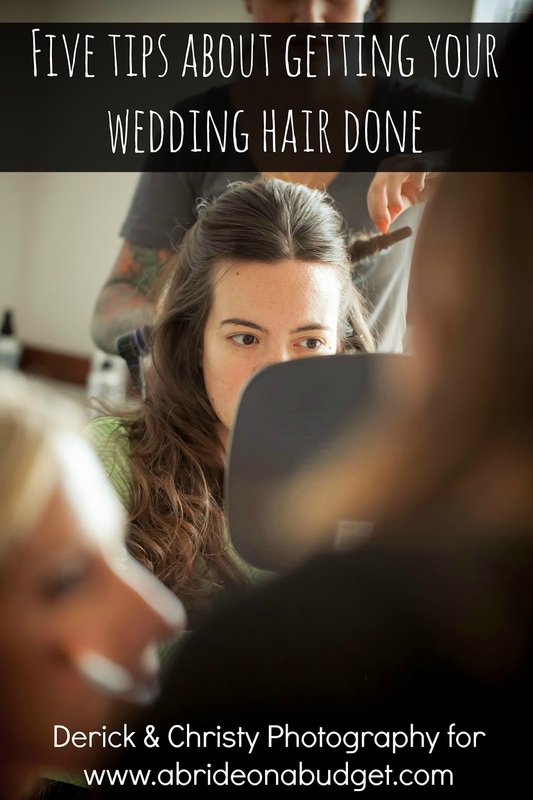 Yes, we have these all on A Bride On A Budget. So you should definitely keep us bookmarked all through your wedding. But you should supplement us with a wedding magazine subscription ... especially if it's free. Bridal Guide is amazing, but it's $5.99 an issue at the newsstand. That's way too much to pick up at the store every month. Right now, though, you can get a free Bridal Guide magazine subscription. 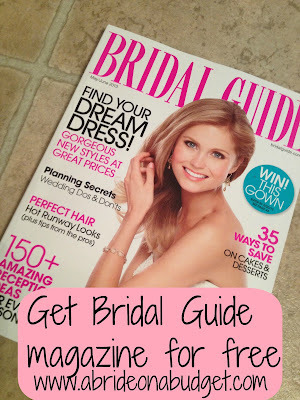 You can easily get a free issue of Bridal Guide magazine. Just click that link, enter your info, and your first issue should arrive in about six weeks. So hopefully you don't have a short engagement. I requested all the free wedding magazines I could find. They were all so helpful for me. I was able to flip through them when I had a few minutes and look at the dresses (bridal magazines are very ad heavy, but I never minded), read an article, and just feel like I was on the right track with my planning. That confirmation is worth it. And brides, they really need a lot of confirmation. Until you start planning your wedding, you don't even know what you have to plan. And you always feel like you're on the wrong track, no matter what you're doing. So having a magazine is just a big help as far as reassurance goes. BRIDAL BABBLE: Are you reading any wedding magazines? 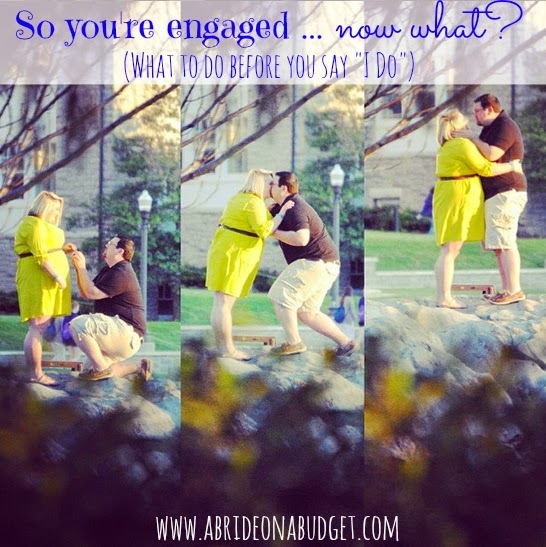 Check out our So you're engaged ... now what? (What to do before you say "I Do") post. This is awesome, thank you so much!! I never thought I would subscribe to a bridal magazine either, haha. I hope you don't mind but I am going to create a post about this deal on my blog and link back to yours - let me know if you're not cool with that. My blog is mainly about DIY craft/furniture projects but I am starting to include some wedding ideas since I recently got engaged. I am loving your site as a resource because I am definitely on a budget and you have great ideas :) Thanks again! First of all, congrats on getting engaged! So far, it has been the most wonderful time of my life. It is crazy and nerve-wracking and I am so worried that I am not going to be able to pull off my dream wedding (especially on my dream budget). But it's those nerves that are making this so much fun. I am absolutely flattered that you would ask to link back to my post from your blog. That is definitely okay with me. 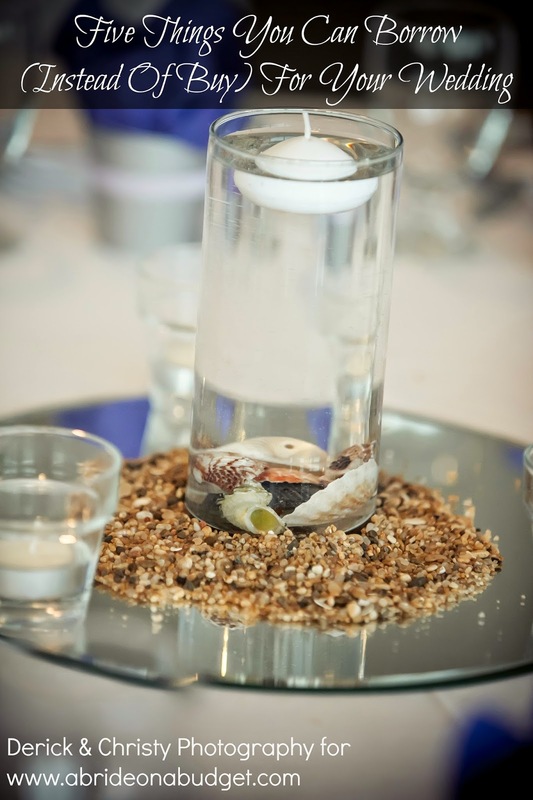 If you have any DIY wedding projects that you want to share, please, shoot me an email. I'd love to see what you post on your blog as well! Congrats to you as well! I definitely agree that it's exciting and I am loving planning out the details, but at times it can get so overwhelming it makes me wanna take a nap, haha. I am just now getting into the wedding DIY projects and will definitely email you when I post those. Thanks again for all of your wedding inspiration and I look forward to reading more of your posts. You sure said it about getting overwhelmed. I am the worst when it comes to that. When I get overwhelmed, I go into shut down mode, so yeah ... not good when you're planning a wedding. When we planned our engagement party (which I called a mini-wedding because we had over 100 guests), I had a breakdown over centerpieces haha. The best advice I've learned is break things into very small tasks and just worry about the small stuff when you can't worry about the big stuff. We don't even have a date yet, but I do have 100 men's and 100 women's razors for our travel bags for out-of-town guests. It said that Bridal Guide was out of stock due to overwhelming demand. :( Do you know of any other ways to get it for free? this is such a fun way to get this magazine in peoples' hands! I wish I was getting married soon! Then I would totally take this offer! Magazines are a great way to get inspiration. Especially when it comes to something like a wedding! I had no idea you could get these magazines for free. The internet is great, but it's also nice to have a physical picture of gowns so you can compare and contrast.